– Mac Full/Free Versions: 50 New HD Sounds encoded with our latest HD audio format and a brand new modern interface with high resolution photos. – iOS Pro Version: Apple TV (Universal Purchase), Apple Watch, 50 New HD Sounds, iOS 9 deep search integration, Universal App that runs at full screen resolution on both iPhone and iPad devices (previously iPad only), and a brand new modern interface. Pro version still features the awesome Mix Pad when running on an iPad allowing you to easily create unique soundscapes by blending sounds together. – iOS Full Version: Apple TV (Universal Purchase), Apple Watch, iOS 9 deep search integration, Universal App that runs at full screen resolution on both iPhone and iPad devices (previously iPhone only), and a brand new modern interface that allows for easier sharing. This version has the same awesome 40 sounds and also supports our latest HD sound format. – iOS Free Version: iOS 9 deep search integration, Universal App that runs on both iPhone and iPad (previously iPhone only), HD audio support, and a brand new modern interface that allow for easier sharing. Our entire product line includes support for our latest HD audio format, higher quality photos, and iOS apps have a new quick-access menu that makes it easy to quickly navigate and manage your sounds. 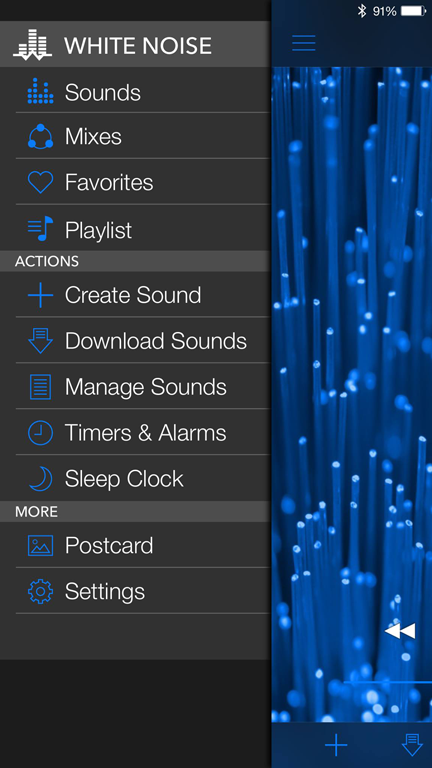 We also added iOS 9 deep search integration so you can quickly search and open your favorite sound right from the iOS home screen. The Recorder has been updated with our next generation GeniusLoop algorithm which means better looping and higher quality recordings. You’ll also notice a new share button on the main screen and sleep view so you can easily share photos and links to audio previews of your favorite sounds. This has been our biggest update in 7 years so we really hope you enjoy it! 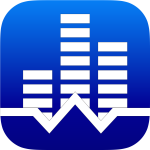 White Noise 6 will also be coming to Android devices very soon. Please continue to send us feedback by opening the settings and tapping the Send Feedback button.